Direct sales has been a top business model for decades. While the majority of direct sales consultants used to be women, it’s actually a great choice for anyone. In fact, you can sell anything from make-up to power tools as a direct sales consultant. If you’ve been searching for a way to own your own business, consider becoming a direct sales consultant. Here’s what you have to gain. #1 A history of success – Direct sales is not new. It’s a business model that has a long history of success and respect. 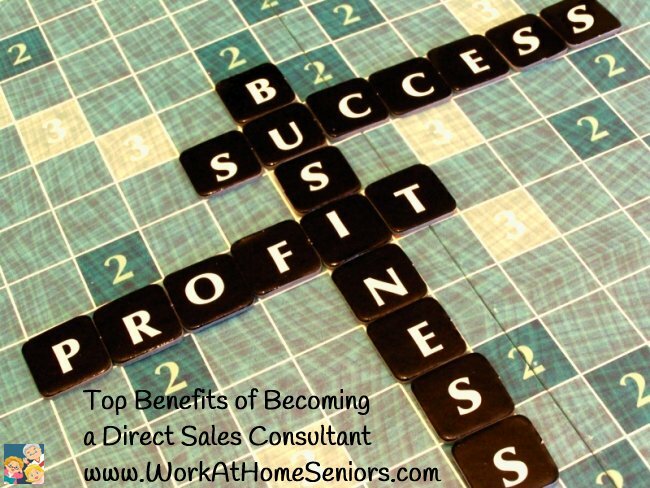 When you become a direct sales consultant you’ll be tapping into a proven business model. #2 The ability to set your own hours – Unlike many other business models, as a direct sales consultant you have the freedom to choose the hours you want to work. You certainly cannot do that with a traditional job! It’s true that your parties may be held primarily on the weekends and in the evenings. However, the remainder of your business-building time and efforts can be whenever it works best for you. #3 No cap on your income potential – Not everyone finds success in direct sales. However, if you’re motivated and enthusiastic about building a business, then the sky is the limit. You can earn any income goal you set your mind to. #4 The ability to work from home – If you’re a parent or caregiver there’s really nothing quite like being able to work from home. It’s great if you’re tired of commuting or just want your own space. #5 Low overhead and start-up costs – Some businesses can cost quite a bit to start. With a direct sales business you can essentially hit the ground running with little or no initial investment. Most direct sales companies have a minimal investment requirement. You’ll need to purchase their starter package so you have products to sell. The rest is up to you. Additionally, you’ll want to keep an inventory on hand to sell. However, you can start and maintain a direct sales business with just a few hundred dollars. #6 You’re your own boss – This means you can grow your business as you choose. You choose who to work with. You choose what goals you want to achieve. You even get to choose what products you sell and how you sell them. Being your own boss can be incredibly rewarding and satisfying. You’ll learn things about yourself you never imagined. #7 No special skills required – There’s really only one skill required for direct sales – motivation. The remainder of the skills can be acquired. If you’re a good communicator, friendly and organized, you’re ready to become a super sales person. Direct sales is a great business model. If you’re looking to start your own business and like the idea of unlimited income potential, consider learning more about direct sales opportunities. It may be the best decision you ever make.